Little Rock – $15 for $30 worth of books from BookCloseOuts.com. Denver – $50 for $100 worth of golf tee times from GolfHub.com. Valid in over 40 states. Tampa – $15 for $30 worth of non-toxic cleaning products from GrabGreen. Shipping not included. Chicago – $69 for an organic, all-natural meat package from MeatHub.com. Shipping is $9.95. 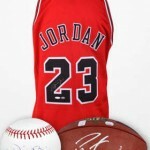 Grand Rapids – $15 for $30 worth of custom gifts from PersonalizationMall.com. Shipping not included. Atlanta – $15 for a 1-year subscription to a Zoobooks magazine. Choose from Zoobooks, Zoobies, or Zootles. Includes a poster and stickers. Baltimore – $20 for 2 shaving razor sharpeners from BladeBuddy. Shipping is $5. Las Vegas – $5 for a 1-year subscription to Men’s Journal magazine. 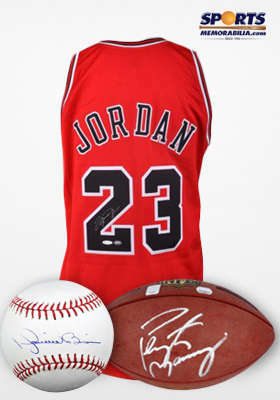 Portland – $50 for $100 worth of autographed sports memorabilia from SportsMemorabilia.com. Shipping not included.